At the close of every year, The Tartan reassesses the year’s events. We present here a list of the people and happenings that are worthy of recognition. 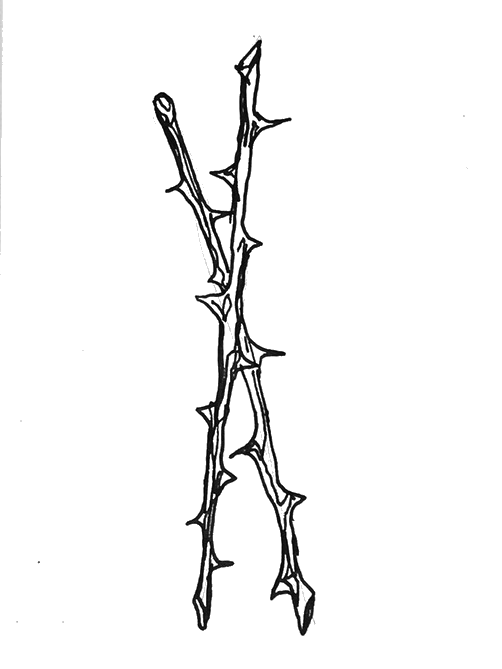 Thistles go to people and events that had a positive effect on the campus community and society at large; thorns go to those that have negatively impacted the campus and our society. A thistle to Marvel's 18th installment Black Panther for not only smashing numerous records at the box office but for taking the leap to provide audiences with a predominantly black cast, proving that there is a market for such diversity in film. Not only was it an important film, especially for this period in history, but it also gave us another amazing character to root for in the upcoming Infinity War. A thorn to The Simpsons for the show's dismissive response the criticism over the character Apu, who has been called out for being a racist stereotype. Instead of acknowledging this, the show blamed it on PC culture and suggested it may never be dealt with. Come on. A thistle to Kendrick Lamar for his masterful album DAMN. and for winning the 2018 Pulitzer Prize for Music. And another thistle to the Pulitzer Prize for finally acknowledging and awarding non-classical genres of music. A thorn to the Grammys for ignoring hip-hop and gifting the Album of the Year award to Bruno Mars over Kendrick Lamar. 24K Magic is not a bad album, and Mars is clearly a very talented singer, but with this being the first year hip-hop has actually surpassed rock as the most popular genre, an album as powerful as Lamar's DAMN. deserved the award. A thistle to women everywhere! From marching for your rights to proudly proclaiming #MeToo and finding the strength to let your voices be heard, this was definitely a year that made great strides towards equality. A thorn to the continuation of the Trump administration who stands directly opposed to a large part of our perceived national ideologies and underscoring the overlooked divide between the people of this country. A thistle to the Pennsylvania Supreme court's decision that their districts were indeed politically gerrymandered. This sets a precedent that will create a more representative democracy. A thorn to current United States Secretary of Education, Betsy DeVos, for her dangerous decision to have teachers carry guns in schools and her continuous failure to be educated, factual, or considerate in the policy she passes. A thistle to the students of Stoneman Douglas High School in Parkland, FL who took a stand against gun violence after the shooting at their school. By advocating for stricter gun control and organizing the March for Our Lives, the Parkland students have become inspiring leaders for the entire world. A thorn to the Task Force on the CMU Experience, who announced that starting Fall 2018, the course drop deadline will move from ten weeks to six weeks, and the withdraw deadline from the last day of the semester to ten weeks. The changes take away some students' freedoms in their course schedules and add even more stress to their already excessively stressful lives. The changes also encourage students to stop trying new things or step out of their comfort zone because they don't have the safety net of a later drop deadline. The Task Force itself is problematic: of the 31 members, only four are actual students (two undergraduate, two graduate), and they do not represent all the colleges. A thistle to Carnegie Mellon student Rosana Guernica and her team for their relief efforts in the wake of Hurricane Maria in Puerto Rico. They have raised over $221,000 to date and continue to work to help the victims of the storm whose lives will never be the same. A thorn to the former adjunct professor at Carnegie Mellon who tweeted that he did not "spend a lot of time catering to struggling students" because it "diverts resources from those who are going to succeed and make a difference." His words sparked outrage and some very important conversations. A thistle to Carnegie Mellon’s response to the repeal of Deferred Action for Childhood Arrivals (DACA). Not only did Carnegie Mellon give its open support for DACA and all "Dreamers", but it reassured its students of the university's administrative commitment to inclusivity in light of our current national administration. A thorn to the Carnival concert. I honestly didn't know that Com Truise was not Schlomo or Wale. A thistle to the upcoming Tepper Quad for being nearly ready and for allowing more space to free up crowded buildings. Plus, it adds another beautiful building to the view downtown from campus! A thorn to the copper thief in the Tepper Quad. We know that copper is cool, but we all need the Tepper Quad finished ASAP so we can get at those new food places! A thistle to the Wean Hall stairwell for adding some funky, colorful lights to liven up the formerly dreary ambiance. A thorn to this awful, unpredictable Pittsburgh weather which consistently confuses Pittburghers and non-Pittsburghers alike. Every time we think we have you figured out, you trick us once again with your fickleness. Get it together! 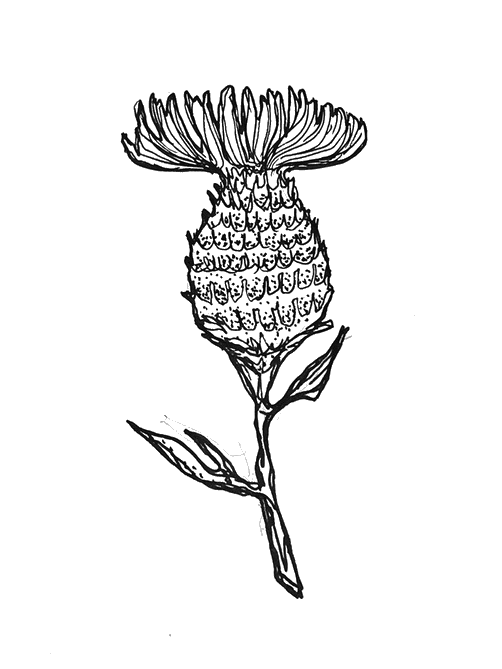 A thistle to the many scientific feats reached in the last year, from studying the effectiveness of opioid treatments to drawing brain maps of a moth’s sense of smell and everything in between. A thorn to Larry Nassar, USA Gymnastics, and Michigan State University. Nassar for his despicable sexual abuse of countless young girls, and both USA Gymnastics and Michigan State University for turning a blind eye to his actions and his victims' complaints when he was in their employ. A thistle to Farnam Jahanian for being named President of Carnegie Mellon University. We are lucky to have you and are eager to see the plans you have to improve the Carnegie Mellon community. A thorn to Facebook for giving user data to Cambridge Analytica, a consulting firm that used the information to influence political campaigns around the world. This blatant breach of privacy made us all wonder how much we can trust companies with our data. A thistle to the longevity of Carnegie Mellon University, the CMU Children's School, and Academic Development. The first two celebrated their 50th anniversary, and the latter celebrated its 20th. A thorn to the measles outbreak that happened at Carnegie Mellon. It wasn't even the fault of the weird anti-vaccine movement; the graduate student in question was vaccinated! A thistle to our readers for trusting us to give them up-to-date information about important news on campus and beyond. Thanks for another great year!